I’ve been working on a chapter book — maybe a very young novel — called Secret Sisters of the Salty Sea. 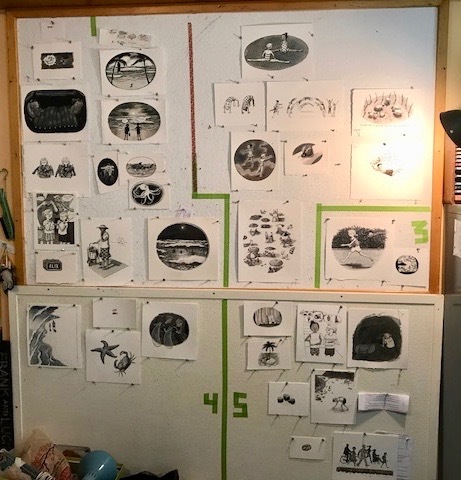 It has lots of drawings. 64 of them, if they all stay in. I finished the art on Saturday, on Monday I packaged it up and shipped it off. 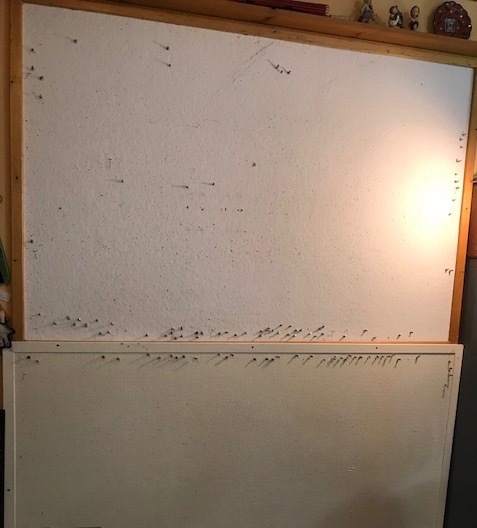 Two of the walls in my studio are bulletin boards. 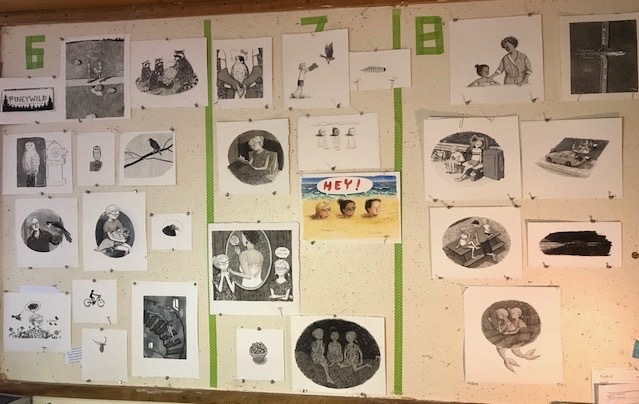 When I’m working on a book, the bulletin boards fill up, bit by bit, with the illustrations. As they do, I feel myself living in the world they create. And then, just as the world becomes complete, I empty the walls. Because, as usual, I am way past my deadline, and there is no time to linger. I miss the drawings. But I also love the world of, what’s next? The tabula rasa. 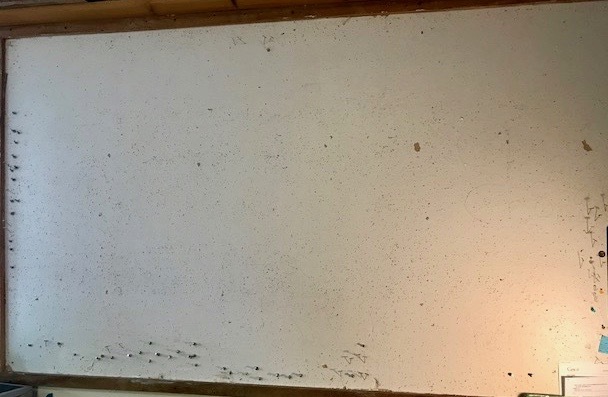 The clean slate. I’ll tell you what’s next, says my inner drill sergeant. Speaking of “clean,” you could clean up this mess you call a studio. I will, I answer. Bit by bit. I think the book will be out next spring.